University of Ibadan emerged the Best School of the Year at the 2018 Creativity Week, a foremost advertising event organised by Chini Productions in collaboration with the Roger Hatchuel Academy of France. UI competed with and defeated over ten other tertiary institutions. Four 400-level students of the Department of Communication and Language Arts, University of Ibadan, obtained the highest cumulative score and put up the best performance. In addition to this, Miss Ayomikun Akinlosose of the same Department emerged the Silver Medal Winner at the event. As a result, she will represent Nigeria at the Dubai Lynx Festival scheduled for early 2019. The other three students who represented the University of Ibadan were Mr Damilola Makinde, Mr Tomiwa Adeosun, and Miss Aminat Oyelude – all of the Department of Communication and Language Arts. At the same event, a recent graduate of the Department of Communication and Language Arts, University of Ibadan, Mr Ayo Dada, also won in the Young Lions’ Category. He will, later in the year, be travelling to France for the Cannes Lion Festival – all expenses paid by the organisers. In all, the University of Ibadan was the star of that event which took place at the Muson Centre, Onikan, Lagos. The competition was at two levels: school level and individual level. UI came first at the school level, and second at the individual level. Reacting to this victory, Miss Ayomikun Akinlosose said, “it should not come really as a surprise given the thorough grooming that we receive from our advert lecturers in the Department”. 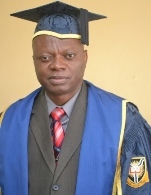 Dr Olayinka Egbokhare who teaches Advertising in the Department of Communication and Language Arts and who coached and mentored the representatives believed that, “UI would win even more prestigious awards with the improvement of our studio facilities and greater collaboration with the industry”. Advertising and Public Relations are two of the main professional areas in which the Department of Communication and Language Arts, University of Ibadan has carved a niche for itself in Nigeria.